I have a small but organized place! (happy face) At first I were thinking this will be too small for me but later when I set up my crafty stuff there, now I am okay with the size of my craftroom! enough for my hobby as well as small business of handmade crafts. My most favorite wall in the room, I fix my favorite paintings & paper work of my arts at a wall & I just love seeing this. super colorful yet interesting! 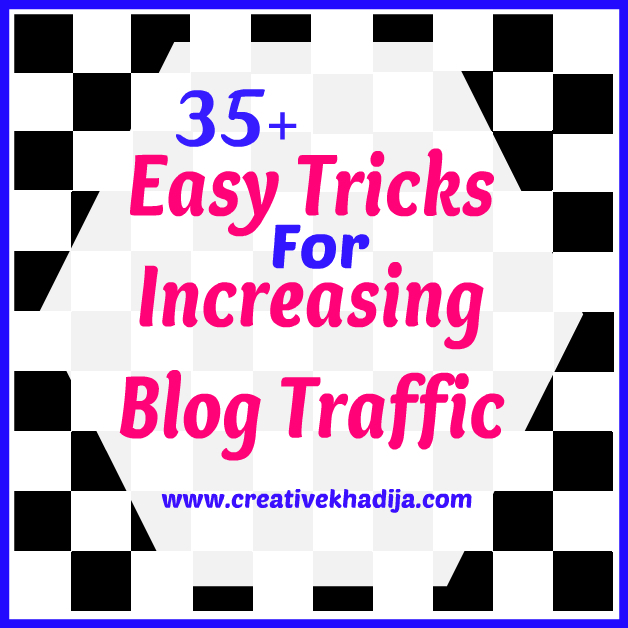 You can see some more of the clicks related my craft space in this article as well. Perks of having natural light at craft table :) So I can take better pics of small objects. you can see this miniature glasspainted glass. I told you about good lighting of my room? Ohh I have a big window and two doors in my room which is totally helping me with natural light blessings! 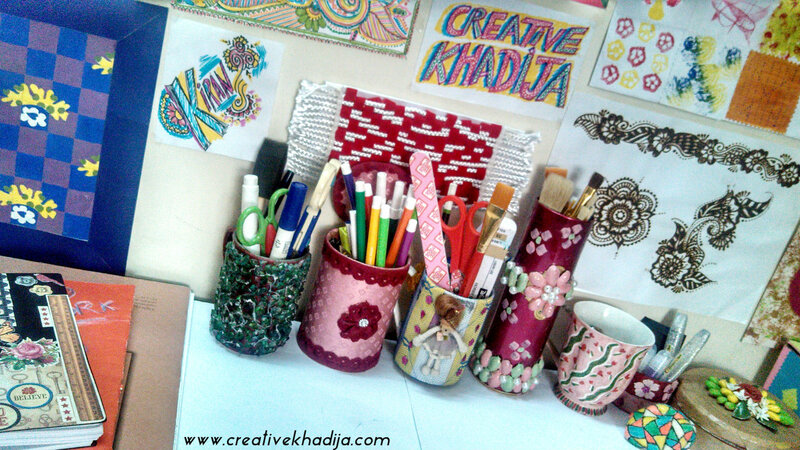 my work table is having white surface so its even more bright & refreshing.. 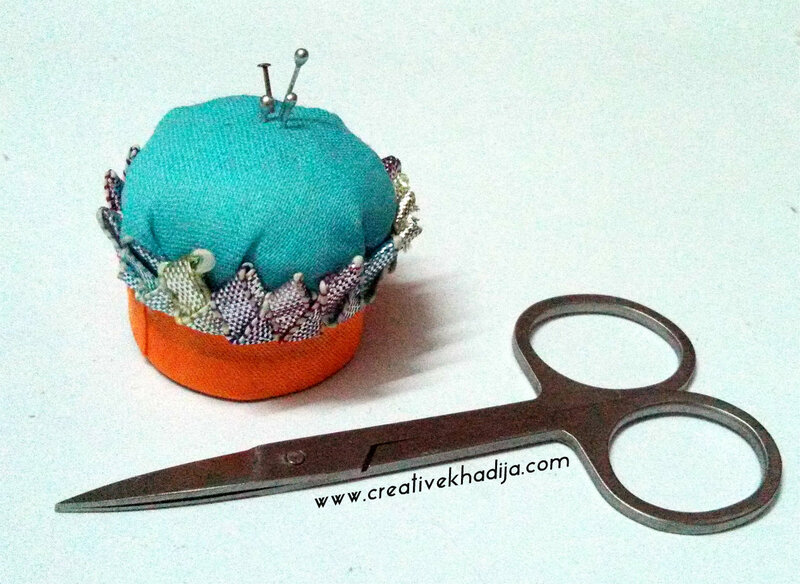 I made this tiny pincushion years back but I am still loving this cupcake design pincushion. very handy & helping while working with needle & pins… This mini plant is the only living object in my room..Ohh I want a pet now! 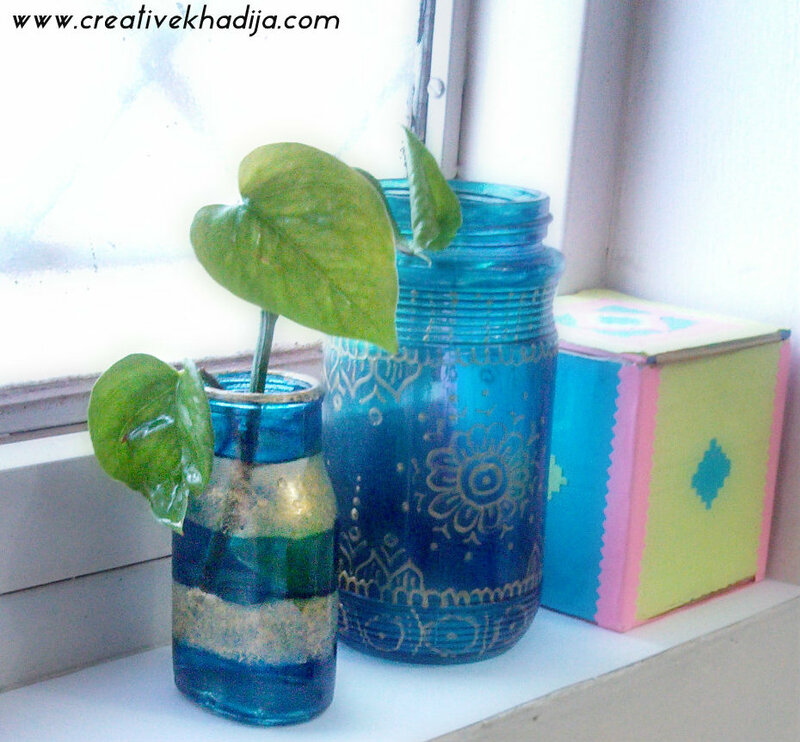 haha..
You can see how I painted these bottles with glasspaint. Once I got some pretty fabric with coarse texture, I made a shopping bags organizer with the fabric! I put it in my craftroom and I am not throwing used shopping bags outside, I fold them and save for using again! 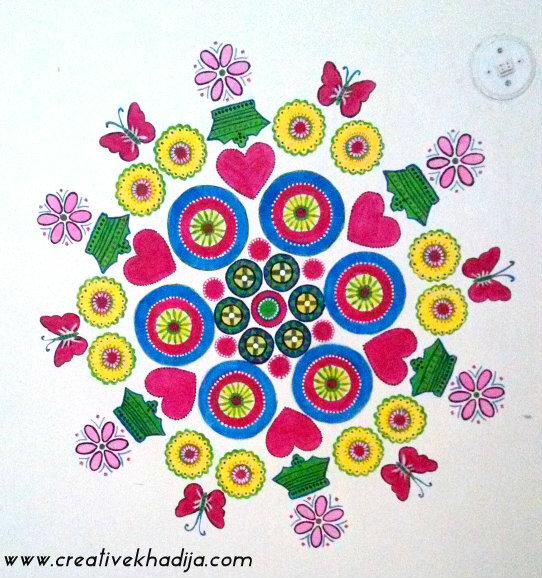 On the other side of the room, I have painted a wall with spring inspired colorful painting. 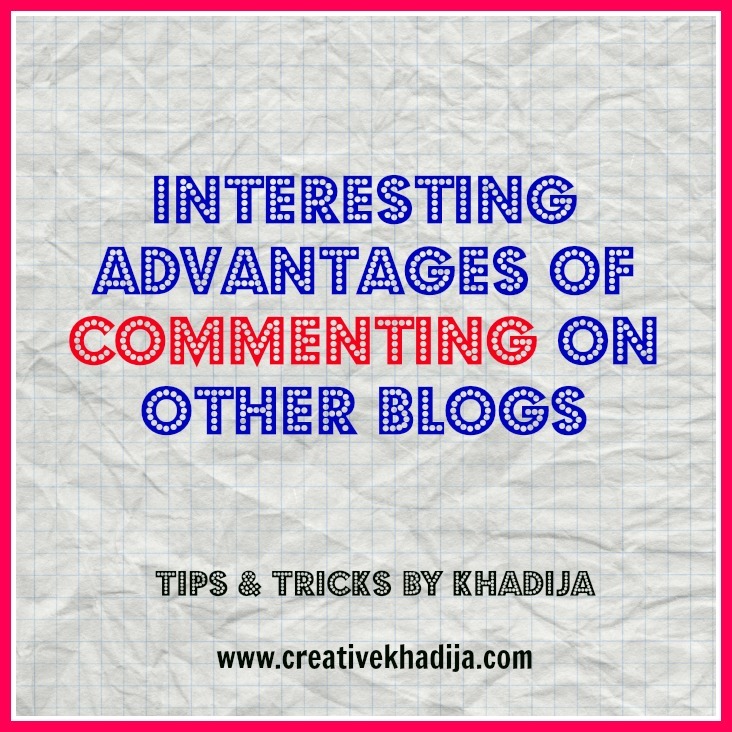 You can enjoy Tutorial here. 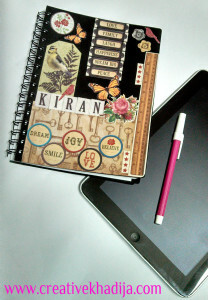 My craft journal & iPad is mostly at my craft table, these two things are really helping during blogging. 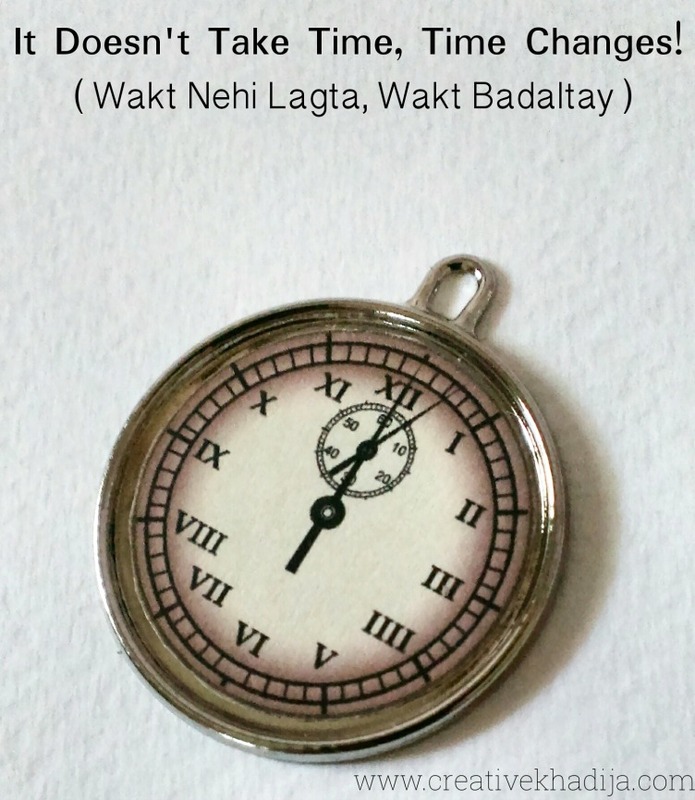 If you are a blogger and not getting these till now, I would forcefully suggest you to get these and start organizing your life more well by saving or scheduling your time! 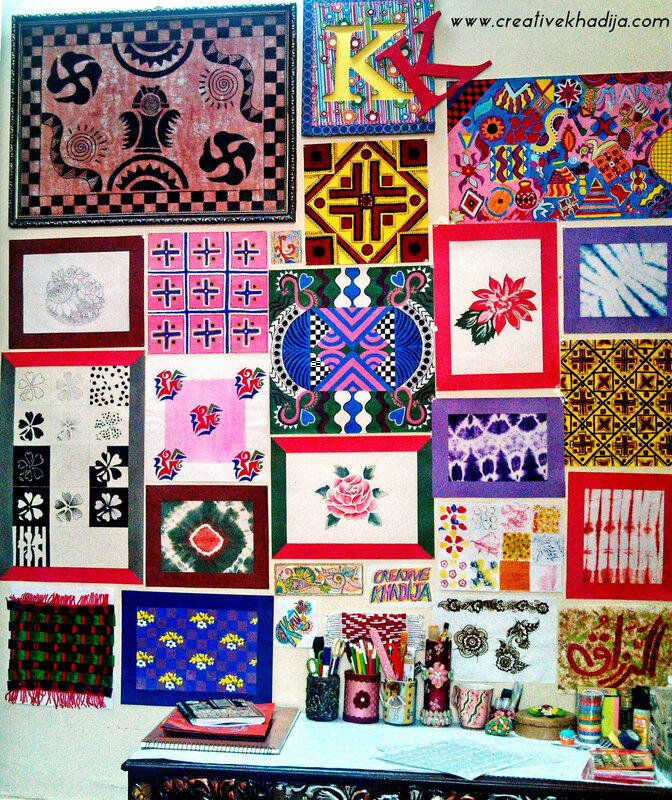 My craft room is an interesting place not for me, for the new comers as well as kids.. so many interesting thingies to observe and play with..haha..I dont mind seriously! I allow others to do experiments. 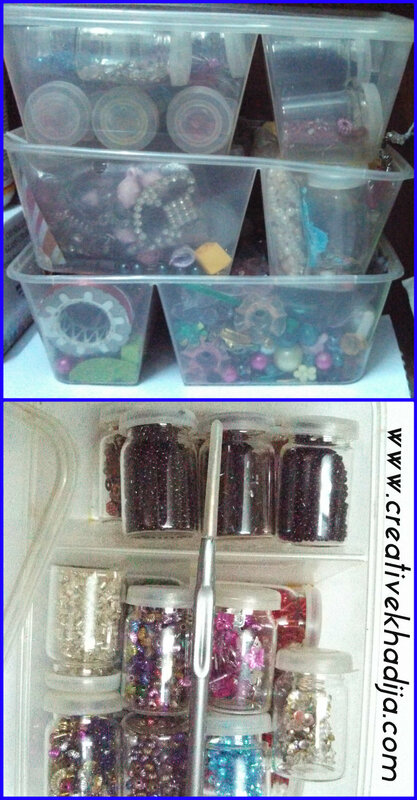 I am in a habit of making organizers with recycled items, like chipped mugs, perfume boxes, tin cans, sweets box etc. As I have a big collection of beads, sequins and this kinda objects because I also love doing Embroidery.. I am glad my work have been published several times in different international magazines! Yay! 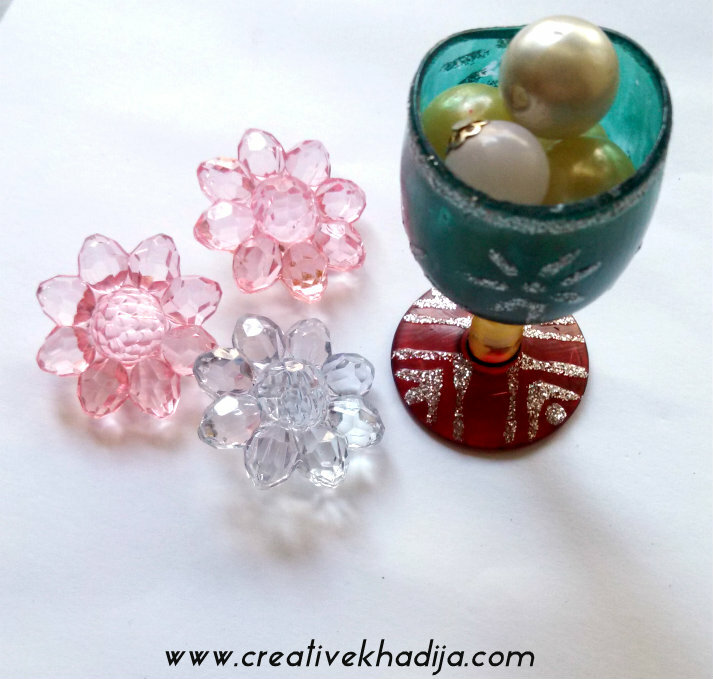 I was asked to share my craft space with Cut Out & Keep, So here is the interview I am sharing with you as well for more details. My craft space is a separate room at home upstairs, Although it’s not a a very big room but enough for my craft work, It’s one door is opening towards terrace while the other door is adjacent to the lounge, I have a big window too which is helping me during day time work at craft table. I am not sharing this space with anyone as it is a separate room for my arts & crafts passion only. Its also my work space, I sell handmade crafts which are mostly done here! I can find my tools & supplies in the rack which is next to my craft table. 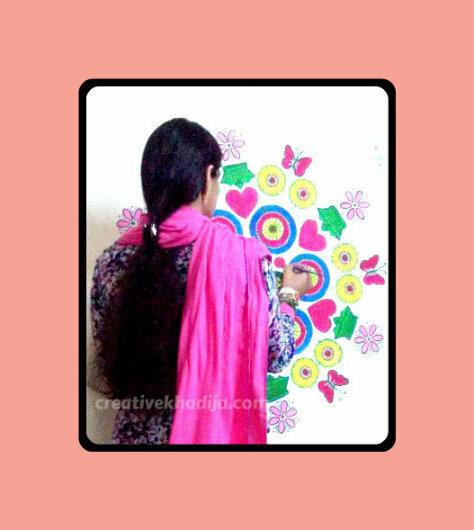 I have decorated my space with all of my own designed wall arts & paintings, I have decorated one full wall of the room with my paintings & wall arts frames, while the other wall is having a hand painted big design by me with acrylic paints. 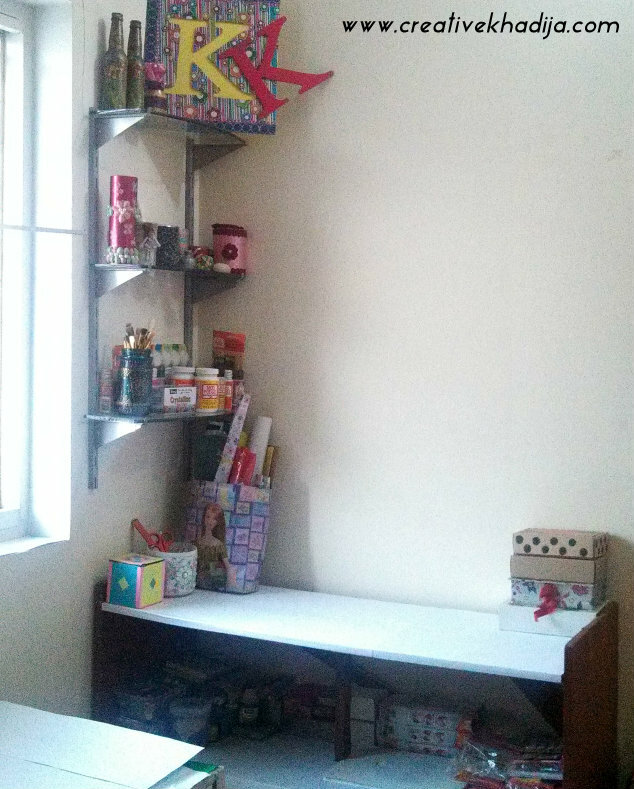 Then next to window, I have a glass shelf corner which is filled with my craft supplies & handicrafts. I keep my craft supplies in a wooden rack properly! Any tips & tricks for organizing supplies? 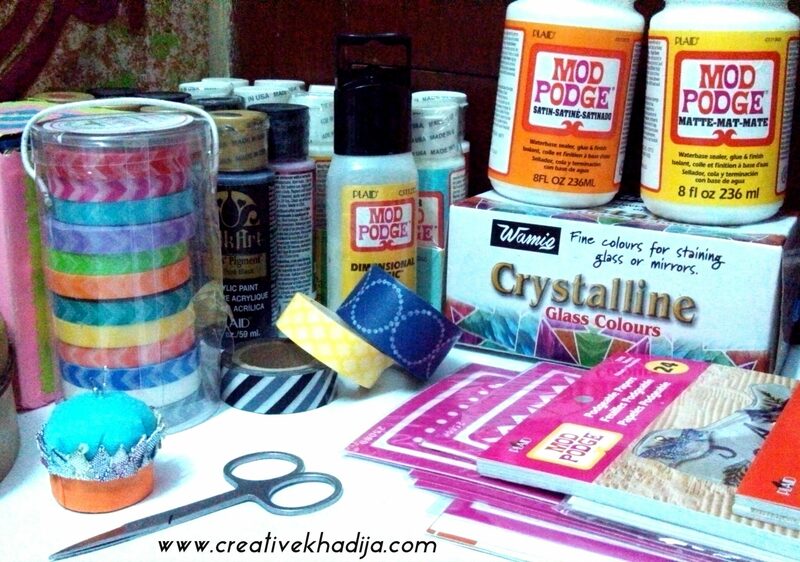 I keep every kind of craft supplies in separate portions at my craft rack, One portion is only for paints, like fabric paints, acrylics, glass paints, poster paints etc. Then one portion is for glue, glitters, beads, charms & jewelry making supplies etc while the other side is for fabric supplies & paper crafts things likewise. I make containers for organizing my tools. Paint brushes, Markers & other supplies like this, I like decorating & reusing jars for organizing my craft supplies creatively! Most of my craftroom things are made or designed by me, I love creating things for my own use, When I enter my room, the keychain is designed by me, At shelf, I have a glasspaint planter painted by me, My shelf organizer jars are decorated by me as well. The wall is filled with my work display as well, So I have so many crafty items at my display in craftroom. I keep my crafty items in my bedroom or craftroom mostly. 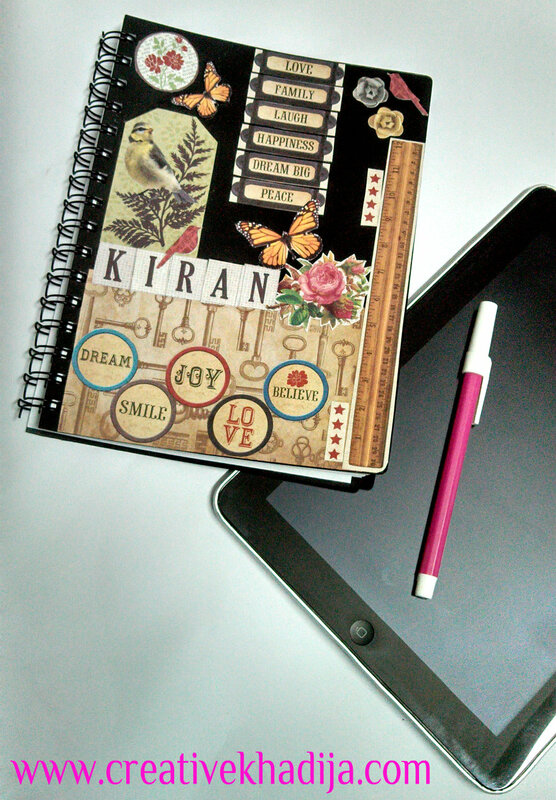 For keeping the ideas & saving the inspirations, I have my planner & diary with me. I designed it with some vintage style & decoupage it with glitter. 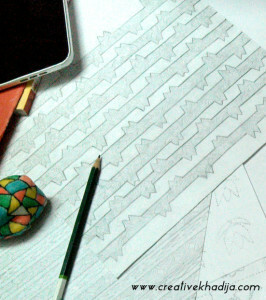 I like designing things which I am using randomly. I plan my routine by writing in it otherwise I keep things saved in my iPad notes. 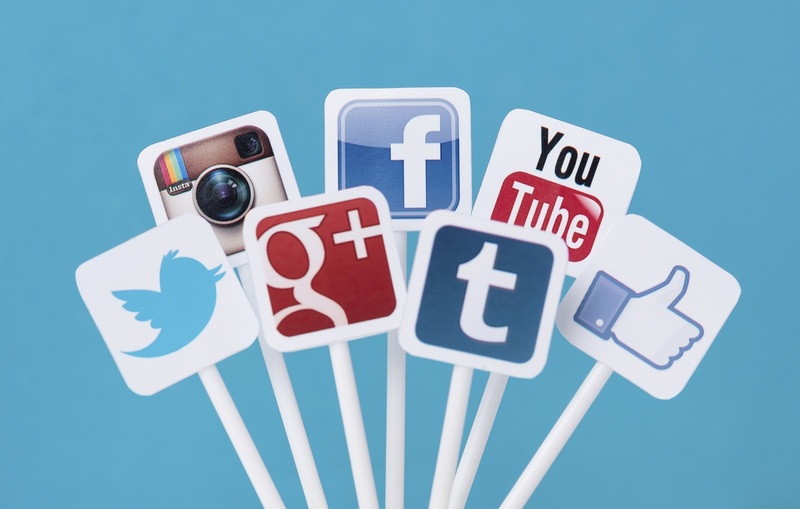 Its easy to save & write your ideas when they are in your mind & later on work for these! it truly helps me in organizing my work & life as well. I love pinterest, It truly helps in getting ideas & crafts, I also visit online craft store for checking what people are creating & selling! I guess there is inspiration everywhere for the people who are interested in. I hope you enjoyed my craft room tour! I am so happy and satisfied whatever I have. My space is perfect for me & my small business! I have some wonderful plans for the future work..can’t wait ti finalize some & sharing with you then :) Have a great day! Thank you so much girls..for reading another Long article by me! <3 Thanks a lot for your positive feedback! Un taller personal, luminoso y alegre, me ha gustado mucho. It was so nice to see your craft room. 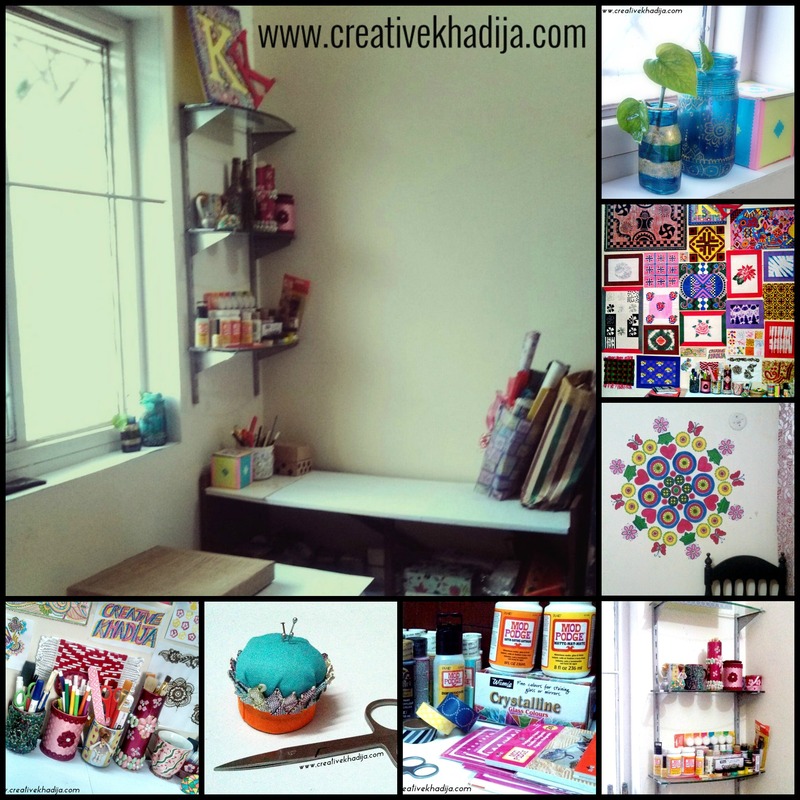 hello khadija,you have beautifully done your craft room.thankyou for letting us to peep. like you one day i would also like to start a small handicraft business.iam taking ideas from you. 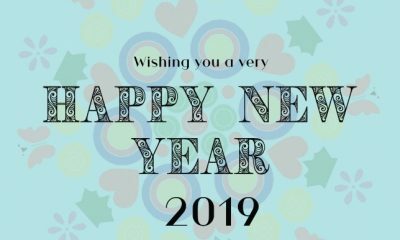 looking forward new ideas from you. Hi Anita, Thank you for appreciating my space & craftiness here! I hope you will be doing all this even better than me one day! I am glad I am an inspiration for you. I am glad you liked it ! thanks. Your space looks very uplifting and organized. I love that you recyle old mugs, etc. as containers. Thanks for sharing. Visiting from create w/joy blog hop. Thank you for appreciating my work space! sure Mariam, I will. wassalam! I am glad you liked my craftroom, So nice of you. Salaam sister, you have a beautiful blog and an even beautiful craft space! Just love your work bench and all that is in there, Masha’Allah! So happy to know you enjoyed the sneak peek of my tiny work space. Its really a peaceful and perfect space for me. Ah! That’s so clean and organized! Mine is always messed up! The paper, glitter and other craft materials all thrown around! lol! It’s nice to see your art and your art space develop over time! Great. Thank you for coming to the party with us. Your contributions are always wonderful. Pinned! Will you come party with us again later today/tomorrow?! Have a great weekend, Rose, FineCraftGuild, organizer of SHARE IT! I would love to share some more in coming articles. Thank you for pinning the article! A sweet space! I love organization. I need to borrow you! Hee Hee! You aren’t in Colorado are you? I have enjoyed this mini tour and your space is perfect. Tahnk you for sharing it. HPS and enjoy a beautiful weekend. Hahaha.. Come on dear Anne!! I am not in USA.. come to Pakistan if you want to borrow me..haha So sweet of you by the way! I am glad you enjoyed the tour. It looks like a wonderful space with so much light. I love your painted bottles! Thanks for sharing with SYC.